4-CD box, LP size, 52 pages book, 131 tracks, playing time 341:00. 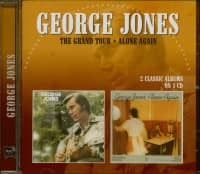 George Jones' classic Musicor recordings have been out of circulation for years while a lawsuit was resolved. 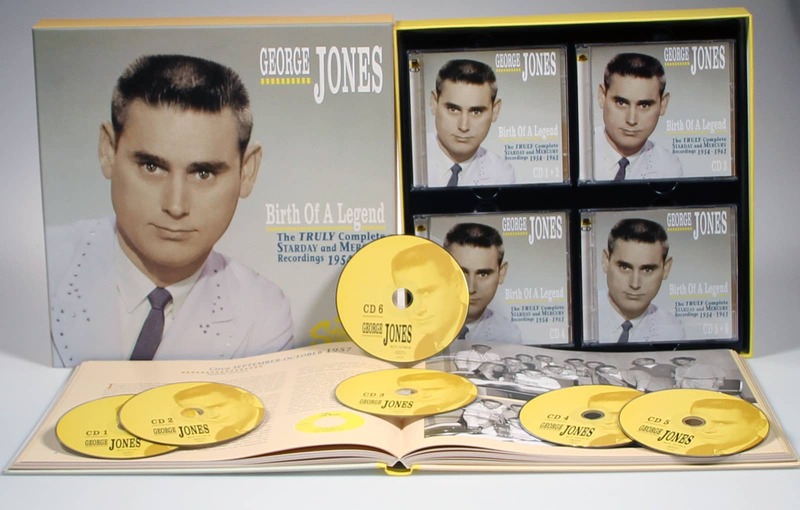 George Jones' Musicor recordings were never issued systematically or in full until now! 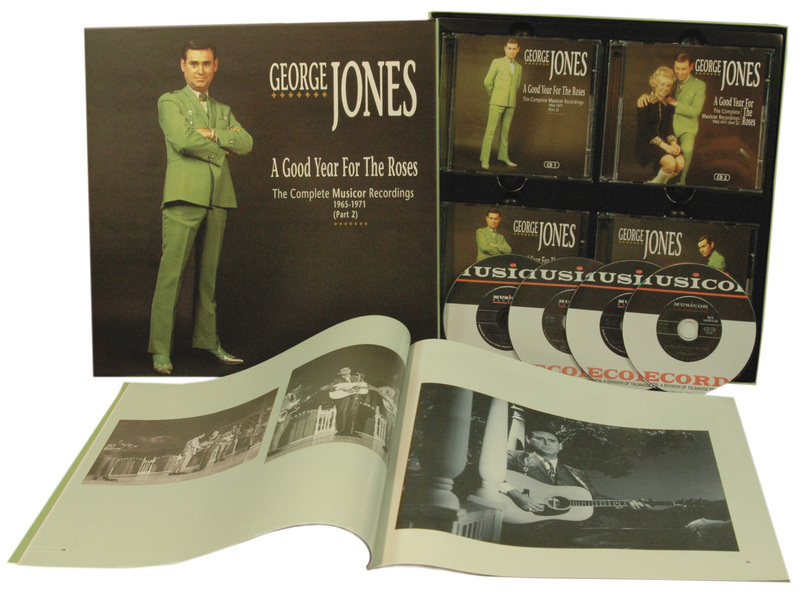 George Jones' Musicor recordings were never issued in premium sound quality until now! The set includes 20 previously unissued recordings. 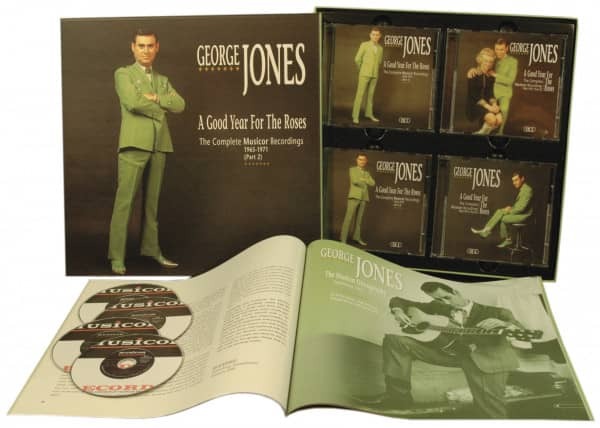 Includes all-time classic George Jones hits, such as When The Grass Grows Over Me, I'll Share My World With You, As Long As I Live, and one of the greatest ever country classics, A Good Year For The Roses! Plus the earliest duets with Tammy Wynette! The second of two boxes. Together, they include every Musicor recording, except the duets with Gene Pitney (available elsewhere on Bear Family)! 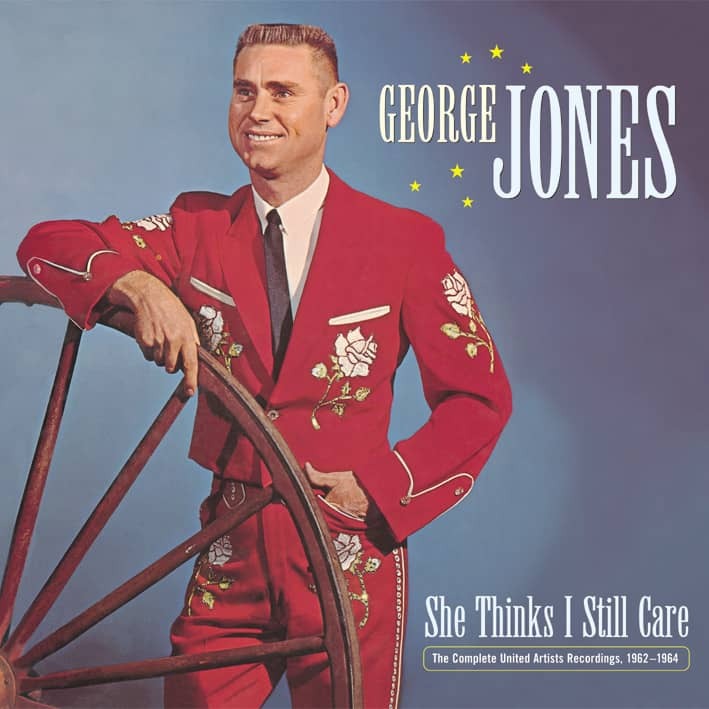 These were George Jones' truly classic years. After more than a decade as one of country music's top stars, newfound maturity and soulfulness augmented what was already the greatest voice in country music. 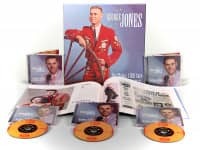 The six years from 1965 to 1971 that Jones spent on Musicor Records were marked by personal turmoil and unprecedented success, but through it all he kept minting one country standard after another. This is the second part of Bear Family's comprehensive two volume edition of Jones' complete Musicor recordings, covering all sessions from 1965 until 1971. Until now, the Musicor sides were randomly packaged and many were unavailable, but the two Bear Family boxes (plus one CD of duets with Gene Pitney available elsewhere on Bear Family) will tell the complete story. 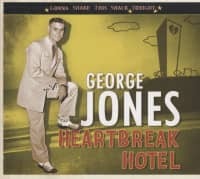 It was during these years that George Jones married Tammy Wynette and this set includes his earliest duets with Tammy... plus a rare duet with Johnny Paycheck! 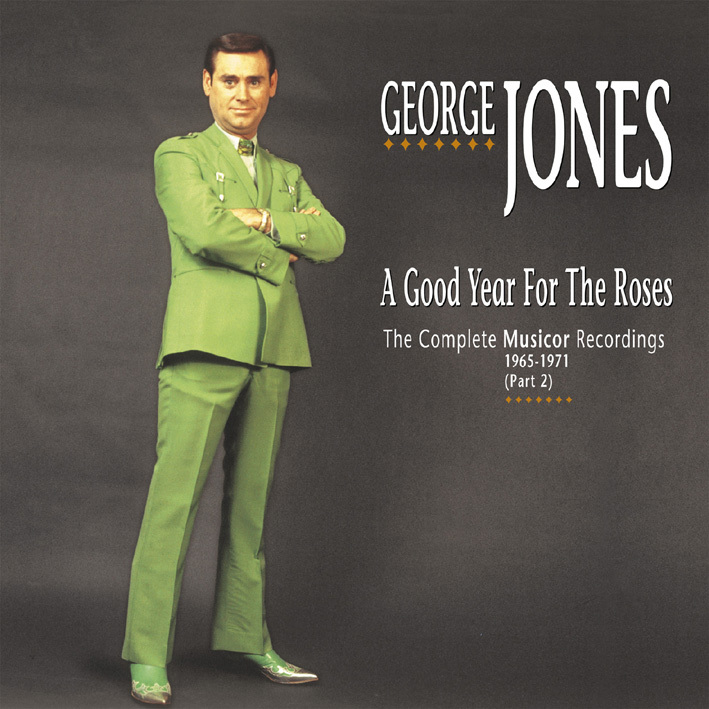 And then there are the original versions of such all-time George Jones standards as When The Grass Grows Over Me, I'll Share My World With You, As Long As I Live, and one of the greatest ever country classics, A Good Year For The Roses! They're all here in stunningly restored sound together with 20 previously unissued recordings. In 1971, George Jones broke acrimoniously from Musicor's co-owner, Pappy Daily, who'd discovered and nurtured him, to join Tammy Wynette on Epic Records. The hits would continue, but George Jones would never sound as good again! This set includes liner notes by Rich Kienzle and a complete discography by Don Roy, Kittra Moore, and Richard Weize. 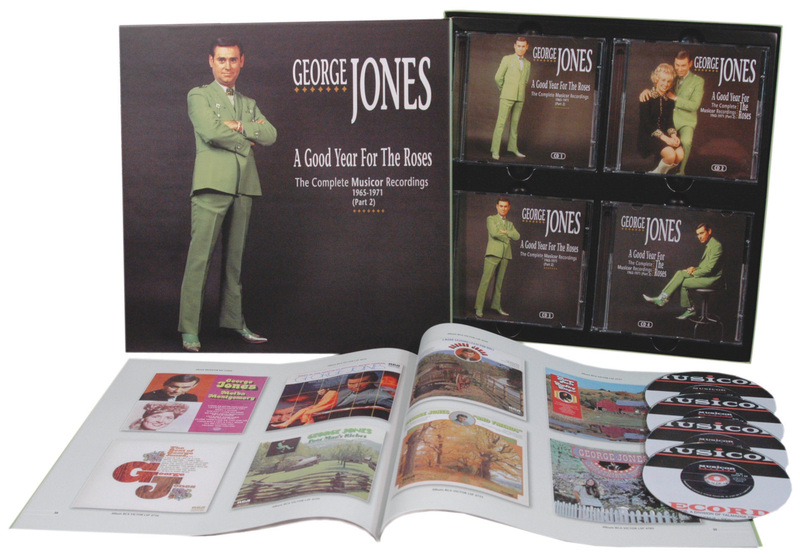 Customer evaluation for "A Good Year For The Roses (4-CD)"